At least 10 people have been killed in a double car bombing in the Somali capital, Mogadishu, which is still reeling from a massive attack that left hundreds dead earlier this month. 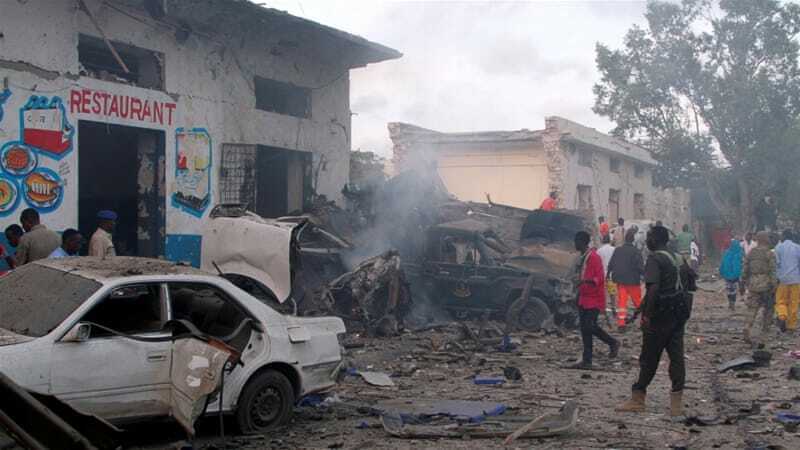 A suicide car bomber first drove into a hotel where President Mohamed Abdullahi Farmajo was due to host a meeting on Saturday, following by a car bombing near a former parliament building. Al Jazeera’s Mohammed Adow, reporting from Nairobi, Kenya, said at least three heavily armed Al-Shabab gunmen have gained entry to the Nasa-Hablod hotel and that fighting was still going on. Farmajo was scheduled to meet the presidents of the Somalia’s five federal republics at the hotel later in the evening, he said. Al-Shabab has claimed responsibility for the attacks, according to our correspondent. The al-Qaeda linked armed group “seems to have taken advantage of the fragility of the national security apparatus. 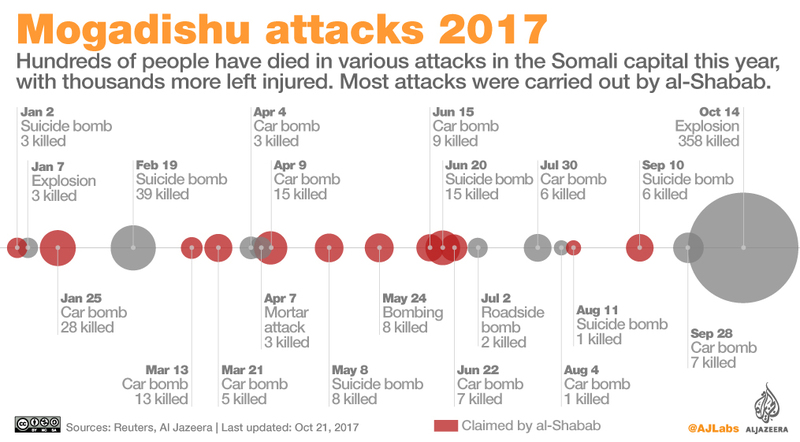 No one expected them to carry out attacks just two weeks to the day they launched Somalia’s biggest, in which more than 358 people were killed”, Adow added. The Stream – Where does Somalia go from here? A roadside explosion hit a minibus carrying passengers, 36km south of Mogadishu, on October 22, killing at least 11 people. The devastating attack of October 14 left at least 358 people dead and more than 400 injured. Next article How To Make The Best Hot Chocolate Ever!!!! !